You might have noticed on my website that as well as being a Registered Nutritional Therapist, I have undertaken training with the Institute for Functional Medicine. But just what is Functional Medicine? And how does it differ from conventional medicine? At its core, Functional Medicine provides the tools to allow the body to return to its natural state of balance and health. It is a system of care which understands that we are all biochemically and genetically unique. As such, it offers a person-centred approach, whereby client and practitioner engage in a therapeutic partnership in order to support the individual’s specific health needs. 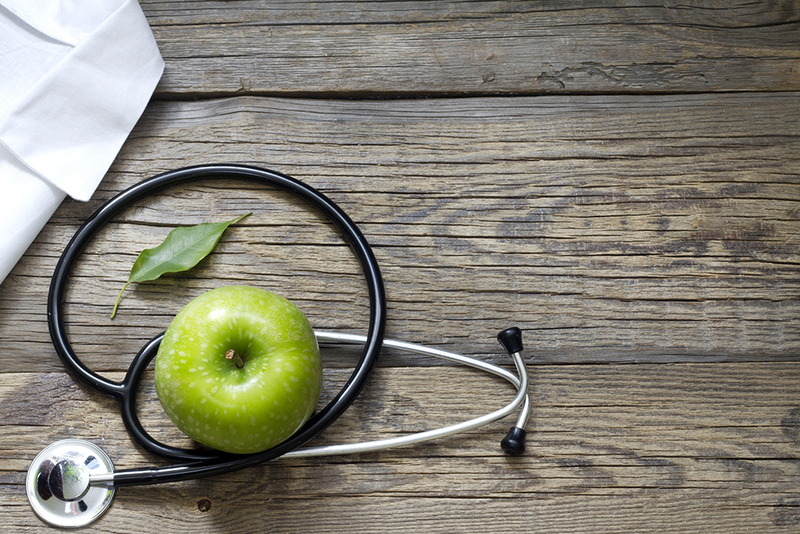 Functional Medicine understands that health is not just the absence of disease. Rather, it is a state of positive vitality and wellbeing, wherein all the body’s systems are supported to work in a balanced state. Or, as Hippocrates said: “Our food should be our medicine and our medicine should be our food”. Clearly, I am not suggesting that if you get an acute infection or break your leg that your first priority should be to address your diet. Conventional medicine is fantastic for emergencies and acute care, where standardised treatments save valuable time and therefore lives. It allows a huge number of people access to high quality healthcare on an extremely tight budget. However, in today’s society chronic (ie. long-term) lifestyle-related issues are on the rise. More and more are suffering with obesity, digestive disorders, hormonal issues, mood imbalances, diabetes and heart disease, to name a few. The model that works so well in acute cases is starting to struggle under the burden of the rising number of chronic conditions. This is where Functional Medicine can really help. Like conventional medicine, Functional Medicine is a scientific, evidence-based approach to healthcare. While both employ the principles of biology and physiology, in the conventional approach treatment is led by symptoms, with a focus on managing the consequences of ill health. Why is it about your unique genetic make-up, diet and environment that has led to these issues? What can we do to support your body’s individual health requirements? Rather than focus on treating symptoms, Functional Medicine practitioners look “upstream” to consider the complex web of interactions in a person’s history, physiology, and lifestyle that can lead to ill health. They seek to understand the drivers or triggers of imbalance and eliminate them, thereby addressing symptoms at the root cause. In Functional Medicine, the person rather than the disease is the focus. The body is viewed as one whole interconnected system, not just a series of compartmentalised organs or body parts. In conventional medicine, treatment is broken down into specialisms. If you have a problem with your gut you see a gastroenterologist. If you have hormonal issues, you see an endocrinologist, and so on. In actual fact, each individual system within your body works in an intricate partnership together. For example, skin issues or brain fog may actually be a sign of dysfunction within the gut. Similarly, bloating or poor digestion could be linked to hormonal imbalance. Understanding how the different biological systems impact on each other allows Functional Medicine practitioners to intervene at the cause of the issue, an approach which can have untold benefits for the whole body. “The greatest medicine of all is teaching people how not to need it”. If you would like to know more about how Functional Medicine can help you please visit my website. I am a member of the Institute for Functional Medicine and have undergone training in the principles of Functional Medicine. As well as being a Registered Nutritional Therapist I am continuing to work towards becoming a fully qualified Functional Medicine Practitioner.